Dr. David Hazelrigg has been a dentist serving the Evansville-Newburgh tri-state area since 1995. He is a graduate of Castle High School, class of 1987. He attended Western Kentucky University for his undergraduate work and continued his education in the dental profession at University of Louisville School of Dentistry. Dr. Hazelrigg obtained his Doctorate of Dental Medicine in 1995 and started his dental practice. 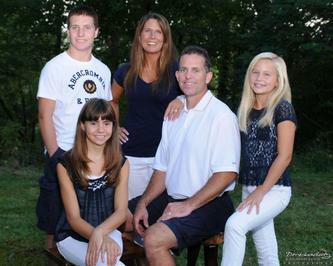 Outside of dentistry, Dr. Hazelrigg is married to his wife Barbara and they have three children - Adam, Abby and Allie. When not busy with his family he enjoys all outdoor activities, especially archery, golf, fishing and camping. We look forward to treating you and your family.